In our digital focus month, Christie Shilling takes a look at the power of social media and how it could be used to improve pharma’s image. Faced with the evidence of social media’s power, the pharmaceutical industry has begun to take steps in this realm. According to a recent study, 82% of companies surveyed are engaged in at least one social media activity — but they haven’t yet been able to utilize the new media format to its full extent. That is not entirely the companies’ fault, however. Figure 1 below shows survey respondents’ ratings of challenges in entering the social media arena on a scale from 1 to 10, where 10 is most challenging. The top two challenges, handling off-label communication regulations and demonstrating ROI, paint a distinct picture in which uncertain regulations and executives’ demands stall many potential inroads that teams overseeing social media may want to make. Despite potential roadblocks, the industry has been making strides to meet these social media challenges. For marketing, in particular, companies find potential in YouTube, Facebook and blogs (Figure 2). However, social networks require a different focus: these platforms must be approached from the perspective of patient education and interaction more than advertising. If utilized correctly, such media can help a company improve its image and thereby gain customer trust and loyalty. Social media has enormous potential to educate and influence large numbers of individuals. Examples of social media’s influence abound, and the list is constantly growing. Outside of the pharmaceutical realm, the Stop Online Piracy Act (SOPA) — which both tech-savvy individuals and web-based companies viewed as an obstruction to free speech — is a shining example. As word about the bill spread through social channels, users organized a nationwide online protest in which participants — ranging from small comics publishers and bloggers to large businesses such as Google and Wikipedia — blacked out their websites for a full day and linked to information and petitions against the act. Social media users who may have otherwise been indifferent or unaware of SOPA began signing petitions against the act and boycotting businesses that supported the bill. After this rush of citizen activism, many senators withdrew their support, and SOPA was indefinitely shelved. The SOPA protests are only a glimpse of social media’s power to sway public opinion and coordinate individuals and groups to work for a single purpose. Other examples include the Arab Spring — a string of protests and revolutions that expanded across the Arab world beginning in late 2010 and early 2011 — and President Obama’s use of the popular social network Reddit to connect with US voters just before the 2012 election. In the Arab Spring, social media was used to both organize groups and spread word of the protests to people outside the participating countries. But as with any media, social networks can be used in favor of those in power just as much as against them. For example, President Obama hosted an “Ask Me Anything” (AMA) forum on Reddit. Though many users, even those involved at the time, soon recognized that the AMA’s sole purpose was to gain further support from constituents, it was effective. President Obama had long before gained credence as being a “cool” president among youth voters. Making a point of speaking to them personally and in a youth-geared format cemented their belief that he is a person more than he is a politician. It’s no secret: the average person does not tend to hear favorable news regarding pharmaceutical and biotech companies. Stories about fines, lobbying and unfortunate controversies from decades ago are easily accessible, whereas the time, money and effort spent on endeavors such as R&amp,D, patient programs and medical education receive little media attention. Drugmakers’ transparency in particular receives especially negative attention. With biased representations of the industry like Ben Goldacre’s Bad Pharma quickly gaining popularity among the general public, some forward-thinking biopharmaceutical companies are considering the ramifications of such unbalanced representation and developing strategies to counter them. These companies are taking steps to improve pharma’s image, in light of calls for increased transparency. GlaxoSmithKline, for instance, has agreed to Goldacre’s demand of publishing all clinical trial data through the AllTrials campaign. In a similar vein, Pfizer has disclosed to the public any payments it makes to healthcare professionals — an initiative that began in 2002, well before the Sunshine Act was even considered. While these moves toward transparency are great leaps for the industry, they do not reach quite far enough to sway public opinion in the right direction. Pharma needs to not only take greater initiative toward transparency, but also make sure that word of its efforts reaches as far as possible. Social media spreads news further and faster than was possible through more traditional methods. It is also one of the best current tools to increase a company’s audience. Of course, an industry like biopharmaceuticals faces the challenge of projecting its defense over the negative messages bombarding the general populace. Many pharmaceutical companies have begun to enter the social media circuit, but often their efforts are not strong enough or properly focused. The value in social media — especially social networks — does not lie in marketing products, but in educating patients, opening communication channels and improving a company’s image. Biopharmaceutical digital marketing teams are hesitant to take too many steps forward because of regulatory uncertainty, and they are right to be careful on that front. For instance, pharma will never be able to launch a viral marketing campaign of any sort under such strong regulatory burden. However, the industry can take notes from other businesses on their community-building and peer-to-peer interaction strategies. 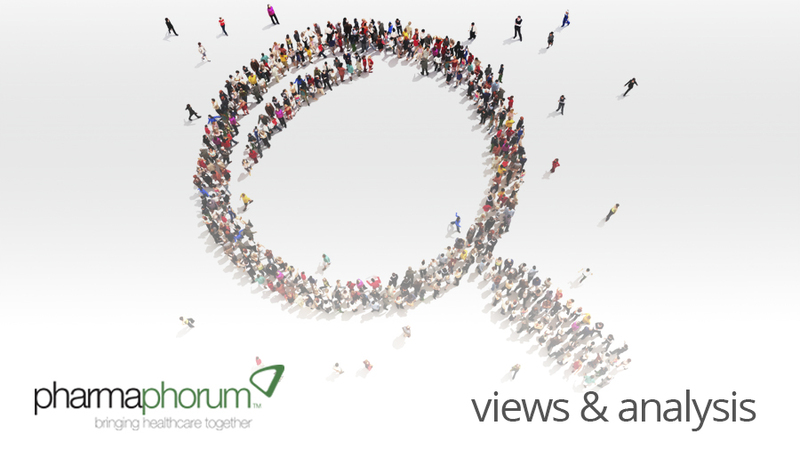 Pharma deserves credit for its online communities and forums that allow patients to contact and support one another. Although many disease state networks had already been set up by users within the communities, biopharma companies have picked up the slack for disease states that have not yet been covered. Novartis’s unbranded CML Earth community, for example, was created for patients with a certain type of leukemia to connect with other patients and with doctors and to easily access information about the disease itself. On the other end of the spectrum, Pfizer has created its “Get Old” initiative, an online community that allows users to share and learn about the various experiences that living a longer life can bring. Through this forum, Pfizer offers a prime example of how social media encourages two-way communication. Consumers can tell companies their wants and needs instead of companies simply talking to consumers as with traditional media. Even with these developments, the public remains distrustful of the pharmaceutical industry. However, this distrust can lessen with, among other things, an understanding of the expenses and regulations involved in the drug development process. Boehringer Ingelheim has made great strides in this arena by creating a Facebook game, currently in beta testing. The application, Syrum, allows users to create their own drugs in-game — going through the development, testing and approval processes. Syrum is an attempt to educate the public on the costs — both of time and money — involved with bringing a new treatment to market. Unfortunately, while patient-facing education via social media — whether about disease state or drug development itself — is useful, the success of these methods is not easily measured by ROI. The value of social media rests in influencing the general public’s opinions, not in convincing them to buy a product. Communication over social media has two important elements: It’s a two-way road, and it’s on an individual level. While the ability to listen to what consumers have to say can, in the case of pharmaceuticals, be a minefield of regulations, it is a key practice in improving a company’s portfolio to meet the market’s needs. Social media communication must also take place on a peer-to-peer level. Social networks are the ideal channel for individuals to share information back and forth with other users, but they are not so beneficial for organizations speaking to a crowd. A tactic like President Obama signing onto Reddit to give citizens a chance to have their questions answered by the president himself was wildly successful for gaining support. The pharmaceutical industry has MSLs, who speak to physicians on a peer level, but have yet to connect with the general public in a similar manner. Social media can guide pharma toward such a strategy, but personal relationships are needed to make their efforts successful. Social media is one of the most revolutionary communication tools of our time. As with any traditional communication tool, a successful social media strategy must meet the needs, interests and level of communication of the target audience. Christie Shilling is a Research Analyst at Cutting Edge Information. After graduating from NC State with a degree in Psychology, she worked briefly as a Human Factors research consultant before joining CEI. Since then, Christie has conducted benchmarking research into many pharmaceutical business functions, including clinical development, marketing, medical affairs and portfolio management. How can social media bridge gap between pharma and public?